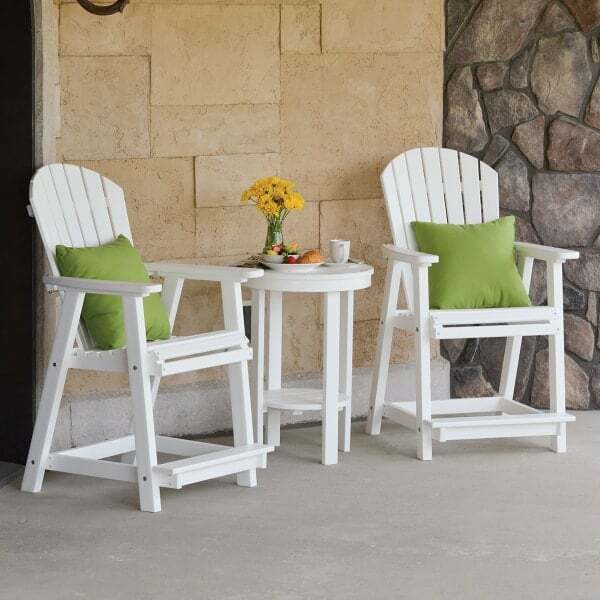 Relatively new to the patio furniture scene, the counter height stool has become phenomenally popular. 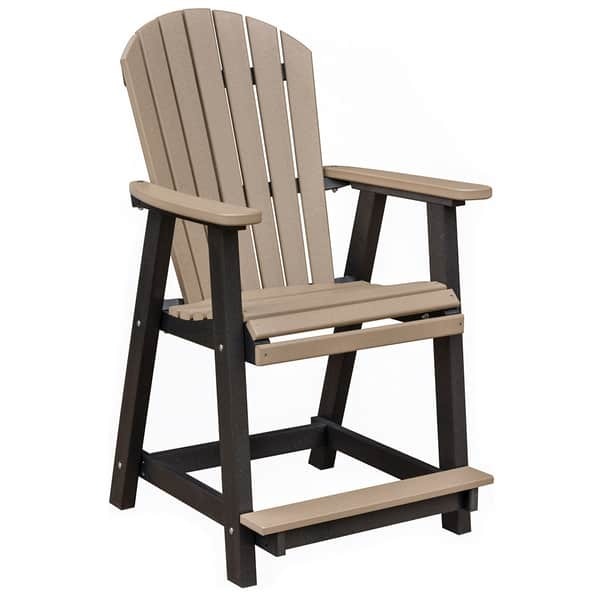 And with good reason; it offers the same seating experience as a barstool but is easier to get in and out of, is more suitable for children and older adults, and is the perfect choice to preserve the view from a deck or patio with a railing. The Comfo-Back Counter Chair by Berlin Gardens is the ultimate counter height chair. It is made of HDPE, or high density polyethylene, which Berlin Gardens produces from 96% recycled pre-consumer plastics. The result is a tough, resilient poly lumber that is suitable for any climate and any application. The Comfo-Back Counter Chair is available in your choice of over 20 fade free colors, encompassing every hue from Kiwi Green to Weatherwood.